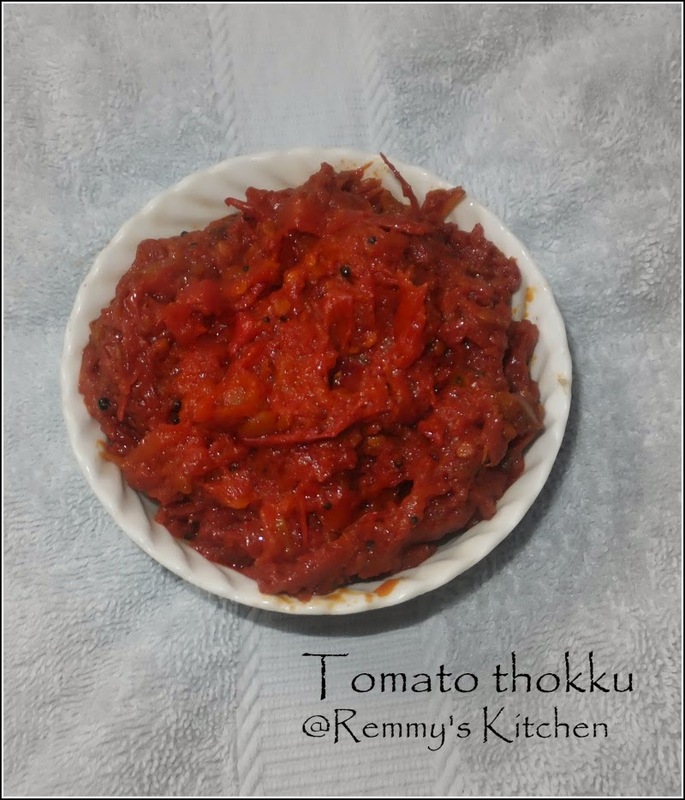 Tomato thokku is an easy to prepare recipe and we can preserve it for weeks.We can use it either as a chutney or as a pickle . It will go well with idly dosa curd rice and lemon rice. Heat a pan with oil. Add mustard and let it splutter. Now add fenugreek seeds curry leaves and asafoetida powder. Mix it well and stir occasionally.If need add more oil. Saute it well until the oil stars to separate. 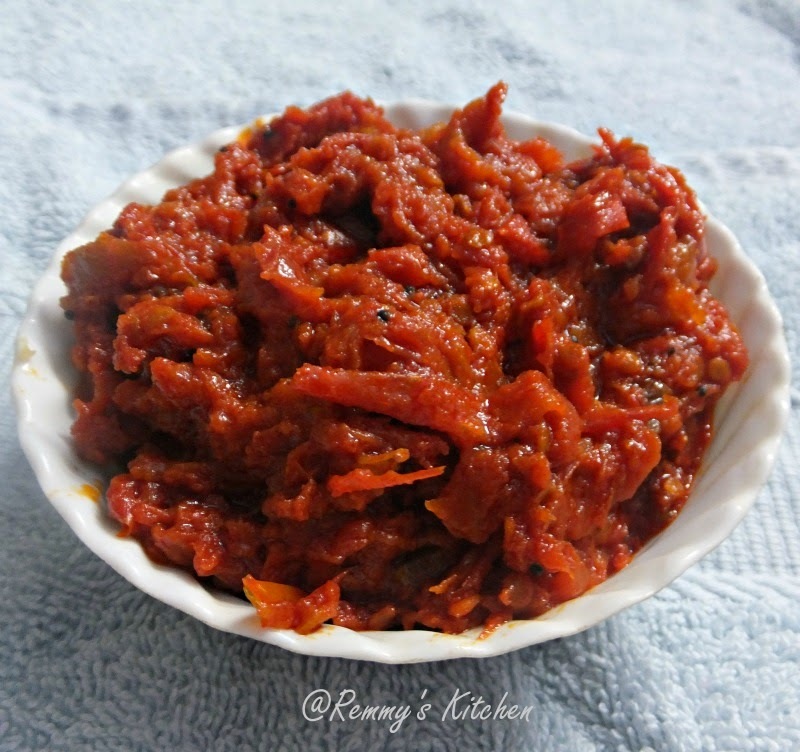 Tomatoes were ripe and perfect so I didn't use tamarind or jaggery.If the tomatoes are tangy use 2 tspn of grated jaggery if it has sweetness add 1 tblspn of tamarind extract. Ahhh! My fav. Super to be eaten with rice. i love this thokku handy for busy days.